As the story goes, a lonely Chinese princess was to be married to a man she didn’t love. When the princess refused, her father pushed her into the Yangtze River. Princess Baiji drowned, but the river took pity on her and reincarnated her into a dolphin. For millennia, the so-called Goddess of the Yangtze pulsed her slender body through the river’s currents. But in the past four decades, the goddess was again betrayed. As China soared to new economic heights, the baiji dolphin was ill-equipped to fend for herself. Fishing nets and boat propellers came after her, increasingly toxic waters poisoned her food, human fishers took a hefty share of what was left, and the Three Gorges Dam sealed her fate. By the beginning of this century she succumbed, becoming the first dolphin driven to extinction by humans. Remarkably, the baiji’s less-storied cousin still swims the river. 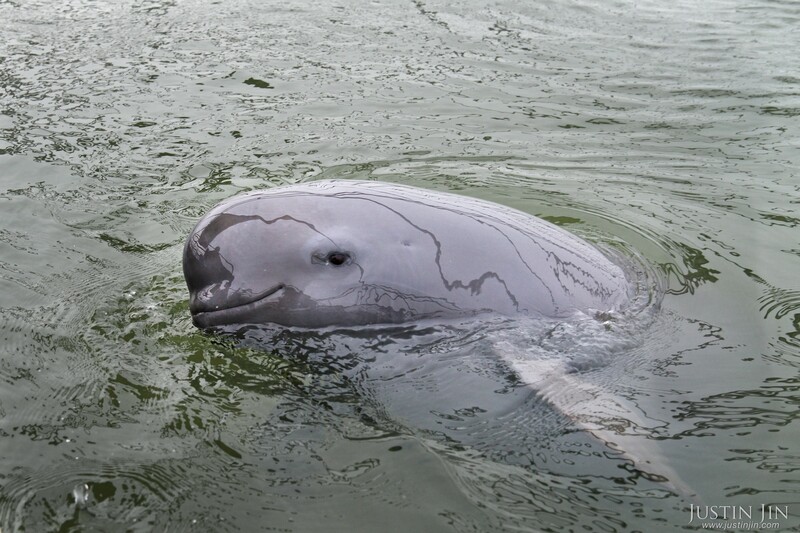 The Yangtze finless porpoise is fleshy and rotund, its mouth fixed in a permanent grin. Nicknamed “river pig” by locals, it has long been rumored to repel any weapons hurled at it. Thus far, this eternally smiling kung fu master of the river has survived the environmental assaults that conquered the baiji dolphin. But the myth of its invincibility is just that. In a river once flush with thousands of porpoises and dolphins, today only around 1,000 finless porpoises still navigate the Yangtze’s twists and turns—a wild population smaller than that of the giant panda. In 1991, WWF estimated that the porpoise’s numbers would continue to hover around 2,700, yet each year another 13% of the population has been lost. The Yangtze finless porpoise is now critically endangered; conservation biologists give us less than 10 years to stave off its extinction. Without direct intervention, the Yangtze’s last surviving aquatic mammal will likely suffer the same fate as the baiji, the extinction of which stung the collective conscience of China. But that reckoning is up against an even more powerful force: unyielding economic development. From its source on the icy Tibetan plateau to its glittering delta on the East China Sea near Shanghai, the Yangtze River connects China’s magnificently disparate landscapes and cultures. The river also propels the country’s phenomenal economic growth. Since initiating market reform in 1978, China has lifted 800 million people out of poverty and transformed a poor, agrarian society into a super economy. The 700,000-square-mile Yangtze River basin provides water, transport, and food for almost one-third of China’s 1.3 billion people and supplies more than 40% of the country’s GDP. But China’s colossal rise has made the Yangtze, the world’s third-longest river, one of the world’s most polluted rivers as well. And the country’s ambitious economic plans—like the “One Belt, One Road” trade and economic plan that is further fueling the intense growth already happening along the Yangtze, and which will more completely link Central Asia, Europe, and Africa to China—are adding enormous pressure to an already busy river. Construction of ports, bridges, and roads linking both ends of the Yangtze to the rest of the world could mean a massive increase in water traffic. Many sections of the river are to be deepened and widened further, their banks paved. Already, almost half of China’s sewage and industrial discharge—nearly 35 billion tons each year—ends up in the nearly 4,000-mile-long river. Nutrient runoff from the fertilizers used to boost crops for more than a billion people causes eutrophication, killing oxygen and life. Overfishing, often with clandestine explosives or electrocution, indiscriminately wipes out aquatic life. Threats come, too, from China’s most magnificent energy masterpiece, the Three Gorges Dam, the power plant with the largest capacity in the world. 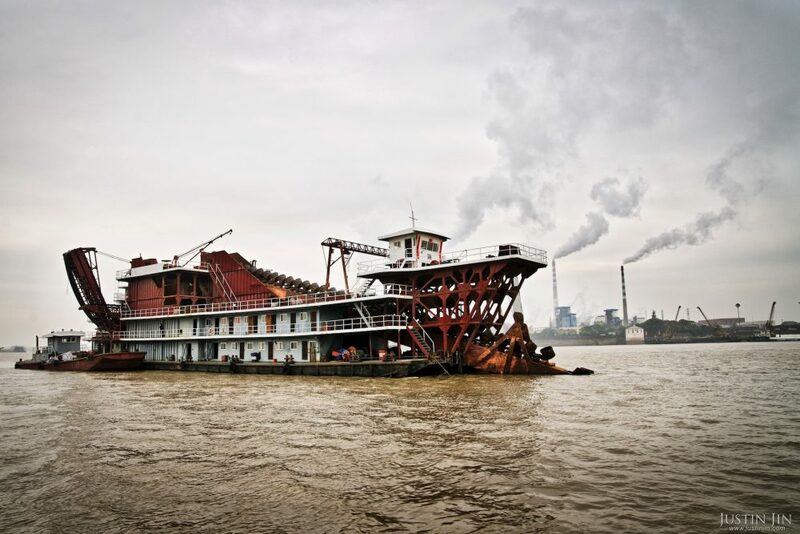 This marvel of industrialization causes sedimentation downstream, increases eutrophication, and changes the Yangtze’s velocity and natural flow regime, seriously affecting fish breeding—all challenges WWF is working on, from micro to macro, from source to sea. 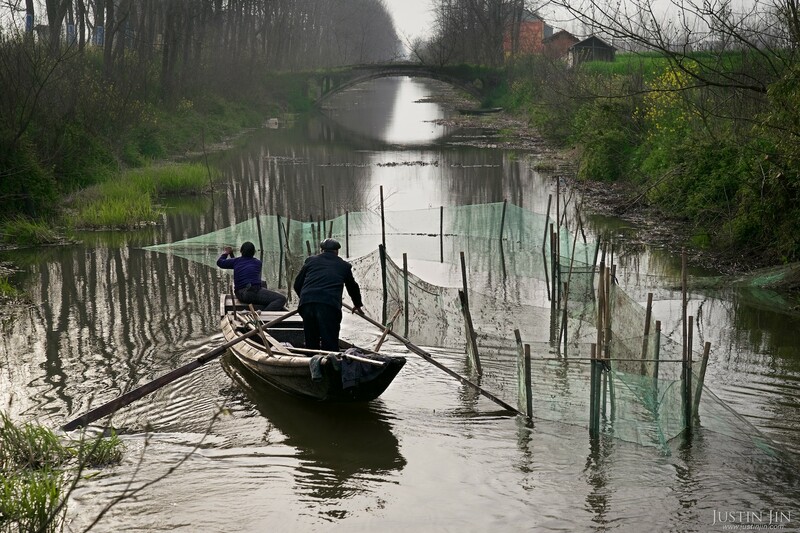 Many small waterways—whether natural or constructed as part of development efforts—have been adapted for people’s use, such as fishing and small-scale aquaculture. Building a coalition strong enough to address the river’s challenges, however, is no easy task. “A stool needs three legs,” says Ren Wenwei, WWF-China’s head of water practice. “In China, it is said the government is an elephant leg, companies are the ox leg, and the public is a chicken leg.” It’s a classic Chinese saying, and said with humor. Yet in truth, the public’s voice has not always been heard. But in the past few years, news of ecological tragedies in many parts of China—from contaminated milk to a flotilla of dead pigs in the waters near Shanghai—has spurred demands for clean air, fresh water, and safe food. “Even the president,” says Ren, “has to breathe the air in Beijing.” For the Chinese government, environmental protection has become an urgent issue not only of national health but also of social stability. So all is not lost on the Yangtze, stretches of which still support some of the highest levels of biodiversity in the world. During a high-profile discussion of the Yangtze’s economic future in January 2016, President Xi Jinping promised that environmental protection—rather than big development projects—would become a “dominant focus” of river development plans. Nine months before that, Beijing unveiled an ambitious action plan to prevent and control water pollution across China. The country’s most comprehensive water policy to date, the plan aims to significantly improve the water in seven key rivers—including the Yangtze—to 70% “excellent or good” by 2020. And while political will is key to reversing the tide on the Yangtze, WWF is encouraging more corporate and public participation as well—the ox and chicken legs, respectively. 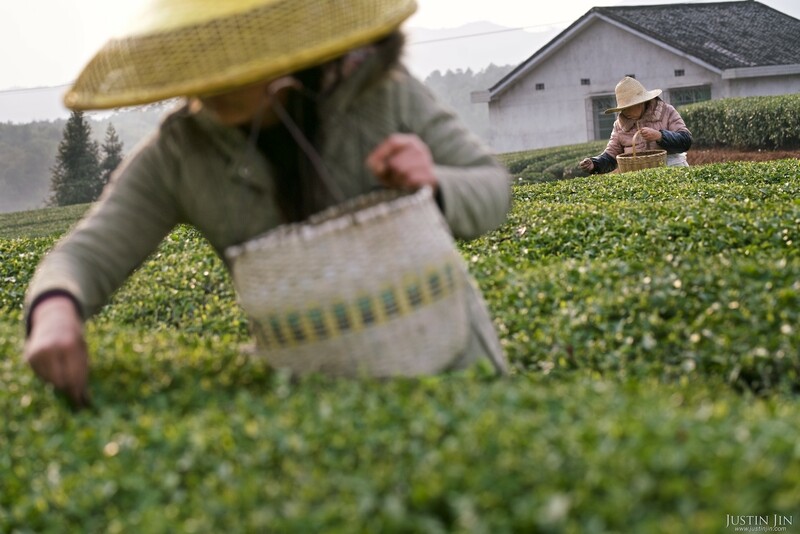 Up and down the Yangtze, WWF works with whole industry sectors—primarily beverages and textiles, but with an eye toward food and housing—to help companies become better water stewards. And throughout China, WWF continues a robust series of public engagement and education programs—from Earth Hour celebrations to all-volunteer dolphin monitoring teams, river cleanups, and wetland restoration work. In the Yangtze’s lower reaches, financial, high-tech, and industrial districts occupying just 1% of China’s territory produce 10% of its GDP. More than 400 Fortune 500 companies have set up shop around the Yangtze economic delta. The companies based here have footprints, influence, and supply chains that reach far beyond the delta: the textile industry’s cotton and dyes; the beverage industry’s water, sugar, and fruit; and more. And while the ecological health of the region’s water has been severely compromised, the vast intellectual and financial capital of the region makes it an important incubator for conservation projects that can be tested and carried upstream. Increasingly, such companies realize the risks of environmental degradation and are working to make fundamental changes to protect the resources and conditions that allow them to succeed. WWF is engaging with many of those with the largest environmental impact. 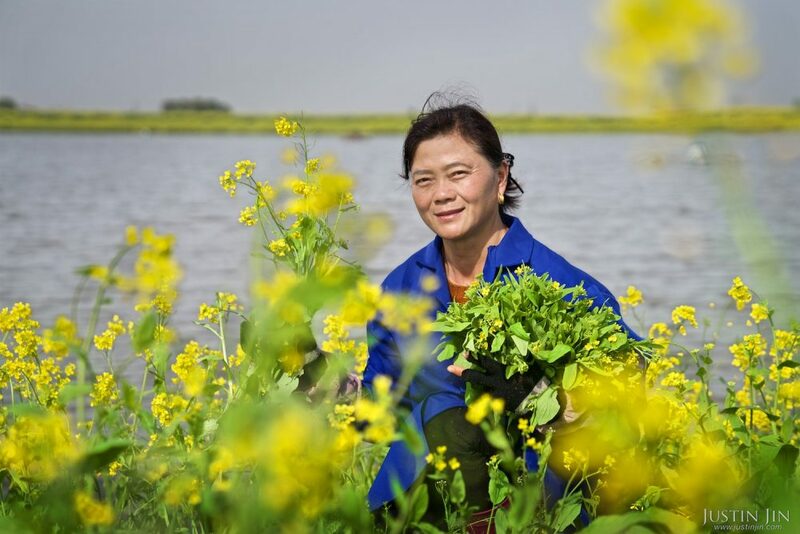 Liu Ailan, a carp farmer near Honghu, uses grasses and other local plants to feed her fish. Ren explains that “WWF helps companies calculate what these risks mean in terms of money.” For corporations in industries such as beverages and textiles, for instance, long supply chains can mean increased risks from pollution, resource scarcity, and increased government regulations—as well as increased opportunities. The Coca-Cola Company, for example, works with WWF to engage with suppliers, communities, and local and national governments to implement projects that protect water while also mitigating risks to its business. The company has also committed to sustainably sourcing its main agricultural ingredients, such as sugars, juices, and tea. 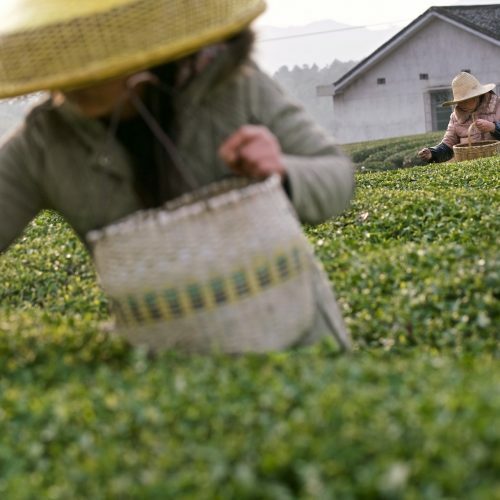 To that end, Coca-Cola and WWF began working in 2013 with the Jinjing Tea Company in Hunan Province, introducing sustainable farming practices—including building water-collecting and irrigation systems and constructing wetlands—on more than 11,000 acres of tea gardens. Such collaborations have enabled suppliers like Jinjing to educate the public, reduce agriculture-generated pollution, and increase biological diversity on their lands. Beyond their own supply chain, Coca-Cola helped form a partnership with WWF and the Hunan provincial government to promote sustainable development and improve the health of the Liuyang River (a tributary of the Yangtze near Jinjing), the Xiang River, and Dongting Lake. They’re bringing others along, too. 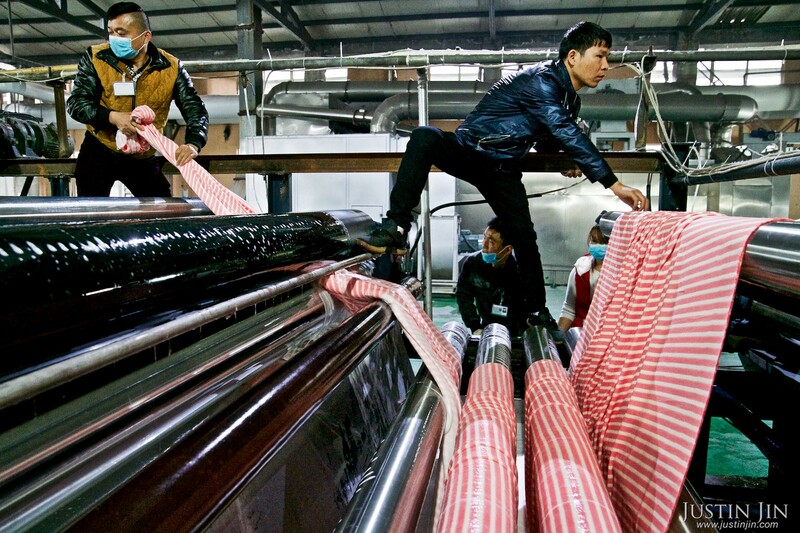 In the Changsha Industrial Park, which houses one of Coca-Cola’s main bottlers in China, the company has engaged other businesses in water stewardship by demonstrating their wastewater treatment process and even selling treated water to other local plants. The textile industry is another important focus area for WWF. Working with partners such as Swedish fashion brand H&amp;M, WWF helps companies enact water-responsible practices and projects based on holistic assessments. 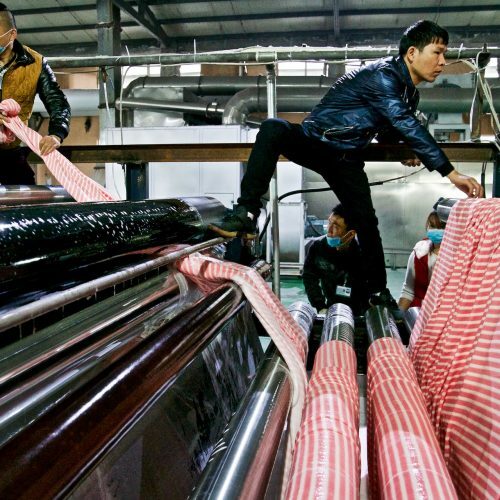 In addition to individual efforts, WWF and the textile industry are working collectively to influence national textile standards, to secure better governance of the river basin through unified public-private calls to action, and to reduce the negative impacts of their operations on the Yangtze. WWF’s “whole sector” water stewardship approach goes far beyond household names. Take, for example, the Changzhou Weile Printing &amp; Dyeing Company, located in one of the many industrial parks scattered near the Taihu Lake. Many companies in these industrial parks exhibit a host of concerns: outdated technology, poor wastewater treatment, a lack of government policies supporting cleaner production, and most important, low profitability. The textile and dyeing industry burns through an estimated 1,200 gallons of water to produce a single pair of jeans. Ten years ago, the Weile company, run by brothers Song Lingyong and Song Lingyan, was no exception. 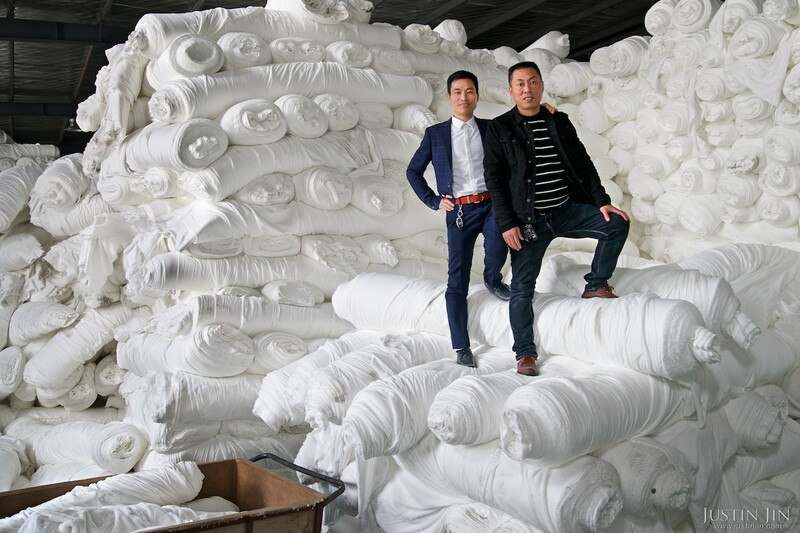 The Song brothers, who supply textiles to 40 countries—including the US, where Costco is a main client—were motivated to try cleaner production by the chance to cut costs. The factory is an utterly industrial site—concrete floors, air thick with steam and the hum of machinery, and towers of white cloth 40 feet high. But pride also fills the cavernous space. There is a WWF plaque noting the company’s water stewardship advances. And “farmers actually fish from the river behind our factory because it’s so clean,” says Song Lingyong. More than a thousand miles away from the Yangtze economic delta, amid steep cliff faces and dense evergreens, the Chishui River, a tributary of the Yangtze, begins its course. Known in Chinese as the Red River for its ruddy sediment, the Chishui straddles three provinces that are among the poorest in the country. But as the spectacular scenery varies across the provinces, so do the bureaucratic obstacles to protecting the river. All three provinces compete to extract resources from the Chishui, but none wants to shoulder the sole burden of protecting it. WWF’s Ren Wenwei describes this classic quagmire with the Chinese idiom “nine dragons managing water.” In Chinese legend, dragons presided over important affairs; water was so critical, nine dragons were appointed to govern it. All thought one of the other governors would take on the responsibility. Yet none did, and the water ceased altogether. Today, Ren says, the dragons are ministries: Water, Forestry, and Agriculture, to name a few, along with multiple regional authorities. Yet with WWF’s help, the three Chishui provinces have started coordinating on conservation efforts and pollution controls, going so far as to create a “River Chief” model in 2014 that assigned clear responsibility for the health of their waterways. Moreover, in December 2016, the central government upgraded the plan to a national initiative that requires heads of provinces, cities, counties, and townships to take responsibility for their own rivers and lakes. To convince local municipalities—and local people—to shift their economies from fishing and mining to other economic priorities, the national government is pushing one model of development in particular: ecotourism. So while there is a fishing ban in place on the Chishui River for several months a year, and countless signs warn people against illegal fishing, there are also newly constructed bike trails hugging the curves of the river, and new restaurants are opening at a rapid pace—many owned by former fishers and farmers with government-supported loans. 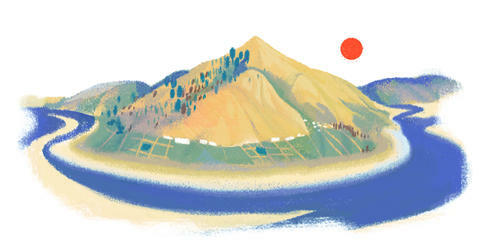 Enter Wuma, a 32,600-inhabitant mountain-river town willing to test out this alternative livelihood approach. Wuma’s 31-year-old vice governor, Feng Jinwei, has been advancing a town-wide effort to reduce environmental impact while boosting incomes. “We want to make our town and our clean river a tourist attraction,” says Feng. In Wuma, vegetable plots have transformed into eco-farms. Noodle stalls are now eco-restaurants. Swaths of hilly, formerly terraced agricultural land are being reforested. Paper mills have shut down. In this hilly rural backwater, there are 10 water treatment plants, with another six expected this year. The river water that used to be polluted is now clean enough to drink. One of the key partners in this transformation is Kweichow Moutai, the company that makes Moutai (also sometimes called Maotai), China’s most famous grain liquor brand. The fiercely strong drink, used to toast Richard Nixon during his famous 1972 visit, is storied in China. The air enveloping Maotai Town is smoky sweet—the smell of fermentation—and a massive visitors center in the town takes tourists on a journey through China’s—and the company’s—history. Neighboring towns like Wuma are looking for a piece of that lucrative tourism pie. With a market value of $71.5 billion, Moutai is the world’s most valuable alcohol company. Having staked its reputation on the Chishui River’s legendary water and the surrounding mountains’ clean air, Moutai needs the river to be clean as badly as the river needs the company to clean up after itself. Today, the company treats its own wastewater, processing 15,000 gallons of water an hour through a treatment plant on-site. In addition to helping companies like Moutai improve their water stewardship, WWF is working with the company—and with others throughout the Upper Yangtze—to protect key areas by asking downstream water users to pay for upstream water protection. To that end, in 2014 Moutai pledged to invest about $73 million over 10 years toward ecological restoration upstream. According to the company, that pledge has been paid to date. The most critical battleground for the Yangtze’s future is its middle stretch, where traditional economic development clashes with biodiversity in a battle for how China will manage its natural resources for the future. “This is where agriculture and industry directly plunge their hands into nature,” says Jiang Yong, WWF-China’s acting director of biodiversity for the Yangtze Program. It is also where some of the last wild finless porpoises live. 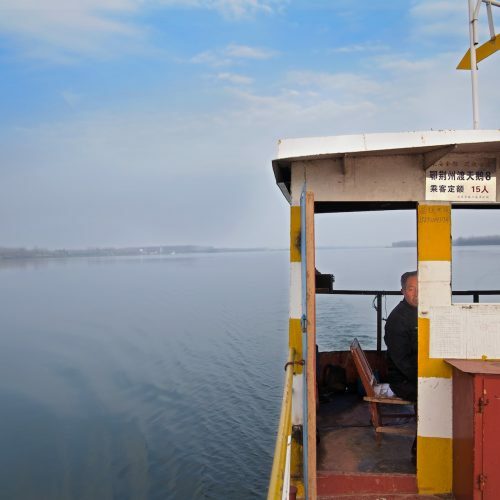 Perhaps no place exemplifies the clash over natural resources here better than Dongting Lake, a vast lake in the flood basin of the Yangtze that is connected to, and fed by, the river at multiple points. 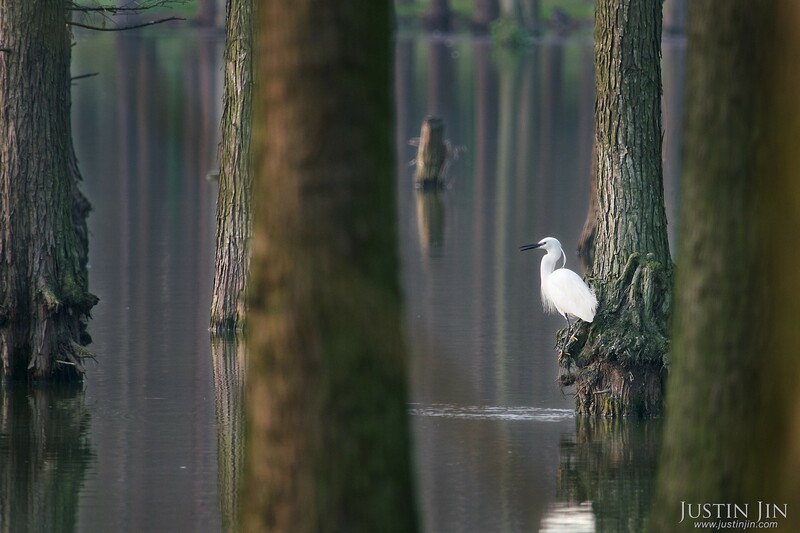 The lake is a destination for tourists and a haven for millions of migratory birds. But the agriculture and dredging required to feed and house millions of people have reduced what was once China’s biggest lake to roughly a third of its original size. Sand dredging boats on Dongting Lake, China, on a waterway connected to the Yangtze River. It takes a lot of luck to meet a porpoise here these days, but the evidence of industry is everywhere: hundreds of colossal dredging vessels and barges—hulking masses of steel spitting out sand scraped from the bottom of both river and lake, pulling up lobsters, prawns, and vegetation as bycatch. Much of the sand mined here is shipped more than 600 miles down the muddy Yangtze to build booming cities like Shanghai. It goes into the concrete for skyscrapers, the glass for windows, and the asphalt for roads. But sand is an essential part of the ecosystem on which the finless porpoise depends—and its removal upends that ecosystem entirely. The whirring and chomping of the sand-raking boats also interferes with the porpoises’ sonar, which the cetaceans use to navigate and hunt. Zhang Xinqiao, manager of species protection for WWF-China, says the porpoises are completely disoriented by heavy boat traffic. “They get sensory overload from all the boats and become exhausted swimming back and forth to escape,” he explains. Confused and tired, they’re vulnerable to propeller blades. 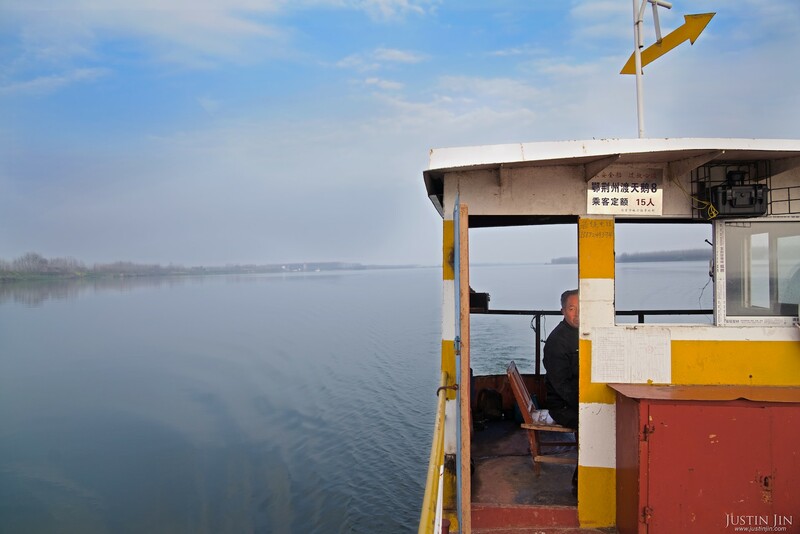 Today, the government is making efforts to return parts of Dongting Lake to its preindustrial state. And as in many places, ecotourism is providing alternative livelihoods, with former fishers becoming restaurateurs, serving the lake’s tourists. At a lakeside office, conservationists survey a swath designated for “sealed rehabilitation”—an essentially Chinese approach wherein whole areas are fenced off and relentlessly monitored and protected with as little outside influence as possible. The reserve’s staff members are responsible for stopping illegal activities—and for monitoring wildlife. Through powerful electronic telescopes, they survey the migratory bird population and jump for their camera phones at the sight of rare species including the white spoonbill, grey crane, and white-fronted goose. Into all this activity, WWF injects a much-needed perspective, says Liu Song, Yangtze Program senior program officer. Pointing to the three massive bridges spanning the lake, he notes that the newest bridge, which is still under construction, was relocated based on WWF’s guidance, moving it away from sensitive wetlands to a location where it will do less damage to the ecosystem. He says that the growing, all-volunteer “dolphin monitoring” groups, which WWF fosters, helped the organization make the case. 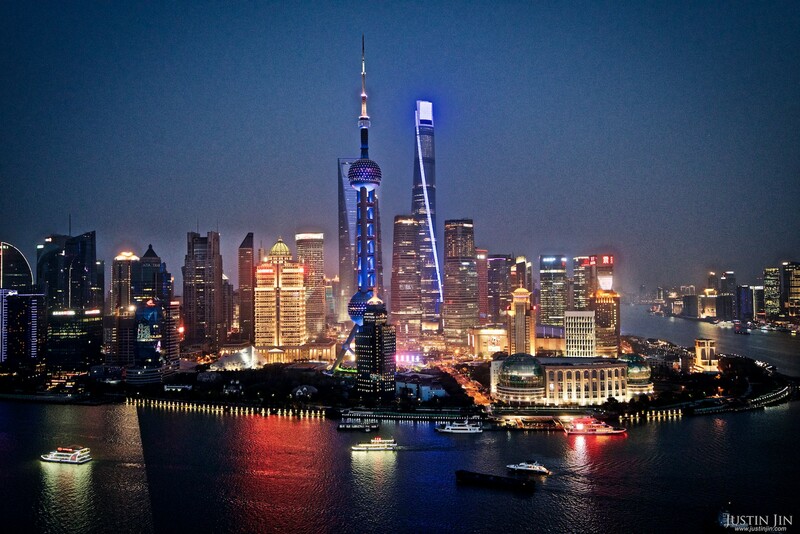 Shanghai and its world-famous Bund sit near the end of the Yangtze’s reach where the river enters the East China Sea. But it’s importance—economically and culturally—can’t be overstated, and has implications far upstream. Not far from Dongting Lake, a program jointly sponsored by the Chinese government, WWF, The Coca-Cola Company, HSBC, and others is offering the finless porpoise a lifeline. 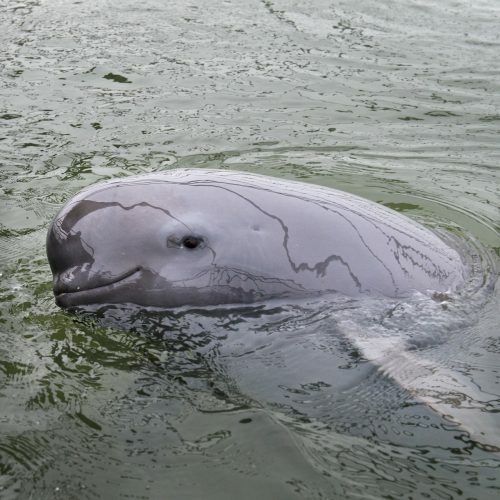 Porpoises are being bred and protected in small U-shaped lakes called oxbows in the Tian-e-Zhou Oxbow Reserve. These aquatic sanctuaries can be more easily monitored than Dongting Lake or other open sections of the river and, through the use of a system of sluice gates to control water flow, the worst pollution from agricultural runoff can be kept out. The almost three-decades-long effort to save the dwindling species requires a continual focus on improving the habitat. “We spent three years with WWF to restore the water quality, so the finless porpoise can live in this area,” says Coca-Cola sustainability director Jasmine Tian. Happily, that work is paying off, and porpoises who were brought to the oxbow reserve in 1990 are now thriving. 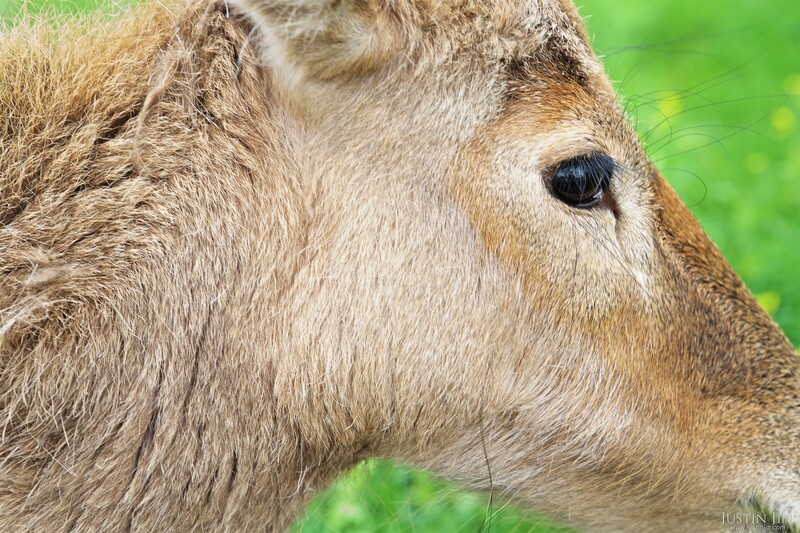 The original population of five animals has grown to nearly 80, close to the oxbow’s capacity of 100. But the oxbows are just buying time for the porpoises. “We can’t conserve them if they are only in protected reserves,” says WWF’s Ren. If the porpoises can’t eventually return to a cleaner Yangtze, the chances of the species’ survival are slim. Still, signs of hope abound at Tian-e-Zhou. More people are practicing low-impact agricultural methods; more fish farmers are using natural grass-feeding techniques rather than trucking in industrial feed. 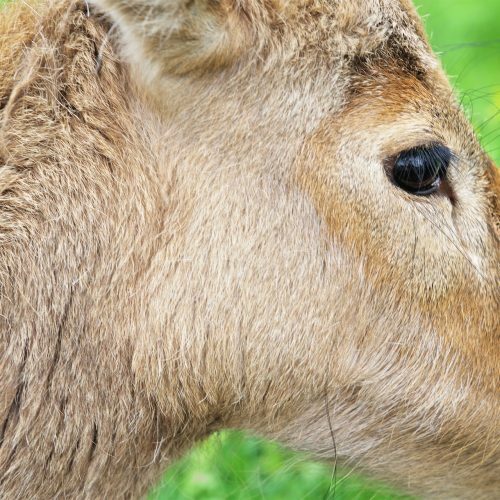 The government has set aside whole swaths of land and water for porpoises, migrating birds, and Pére David’s deer, which had gone extinct in China but was reintroduced—from an English lord’s herds in the United Kingdom—in 1985. And then there is Ding Zeliang, 50, a former fisherman, who cares for the porpoises brought to Tian-e-Zhou’s rehabilitation center. When Ding took the job at the porpoise center in 2008, his first task was to rehabilitate “E-E,” a recently rescued female who is now 12 years old. A male, Tian Tian, was relocated to the center in 2011, and E-E gave birth to the first captive finless porpoise born there in early 2016. The baby is chubby, stays close to its mother, and evidences the species’ classic morphological “smile.” A public naming campaign christened the juvenile “Meng Meng,” which means “adorable.” Expectations for its continued health run high. When the baby was born, Ding says, he fed and cared for the mother and baby through the nights, faithfully sleeping on a cot on the dock in order to be close to them. And with that sort of commitment from China’s people, the finless porpoise, and the Yangtze itself, just might have a chance at survival.